Former Milwaukee Bucks head coach Larry Drew has joined new Cleveland Cavalier head coach David Blatt’s staff. Drew was fired after just one season in Milwaukee, finishing a league worst 15-67. Drew joins a Cleveland team that should be one of the best in the NBA after adding LeBron James and resigned Kyrie Irving. The Cavaliers will also be adding power forward Kevin Love soon. The Cavaliers also have another former Bucks assistant on the staff, Jim Boylan. He was an assistant under Scott Skiles for four-plus seasons before taking over as interim head coach to finish the 2012-13 season. The Bucks went 22-28 under Boylan over the final 50 games that season. Prior to joining the Bucks, Drew coached the Atlanta Hawks for three seasons, leading them to the playoffs in all three years. Former Milwaukee Bucks coach, fired after just one season in Milwaukee, issued the following statement today. “I would like to thank Senator Herb Kohl and John Hammond for giving me the opportunity to coach the Milwaukee Bucks this past season. Although my tenure was brief, it will forever be memorable. 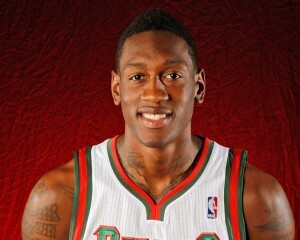 “Thank you to all of the great Bucks fans for your love and suport, you truly are some of the best fans ikn the NBA. Drew went 15-67 in his only season on the Bucks bench, good for the worst record in the league. The Bucks got into the draft lottery and drew the second overall pick, using that selection on Duke’s Jabari Parker. ownership group that will hopefully turn the Bucks into a winning franchise again. The Bucks selected Duke’s Jabari Parker with the second overall pick and NBA fans in Milwaukee and Wisconsin continued to feel good about the future. But soon after, Lasry and Edens decided to seek permission and eventually interview Jason Kidd for Larry Drews head coaching job. When ownership changes take place, it’s normal to fire the coach and even the general manager and start over. But Lasry and Edens didn’t make changes right away. They instead moved forward in discussions with Kidd while not once, sharing their intentions with GM John Hammond. teams agreed to compensation. The Milwaukee Journal Sentinel sites a league source as saying Kidd will sign a three or four-year deal and the Bucks will send a pair of second round draft picks to the Nets in return. Kidd will replace Larry Drew, who coached just one season in Milwaukee and finished 15-67. He still had two years left on his three-year deal worth $7.5-million. Kidd had reportedly asked for more power in Brooklyn and was denied. That led to his interest in the Bucks. 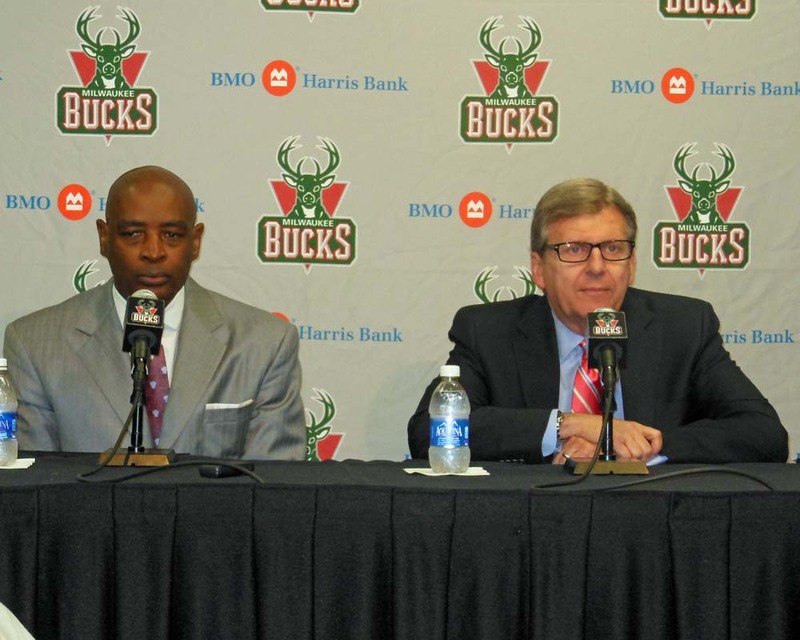 The Journal Sentinel report says John Hammond will remain as the Bucks general manager and David Morway will stay on as assistant general manager, despite both not being consulted on the move to hire Kidd. Kidd was also unhappy when he saw former NBA players Steve Kerr and Derek Fisher signing deals that paid considerably more money. He was entering the second year of a four-year, $10.5-million deal he signed to coach the Nets. He coached the Nets to a 44-38 record and sixth seed in the NBA playoffs. The Nets beat Toronto in the opening round, then fell to Miami in the Eastern Conference semifinals. The Milwaukee Bucks are trying to reach an agreement with the Brooklyn Nets, in an effort to hire Jason Kidd as the teams next head coach. The Milwaukee Journal Sentinel is reporting that the 10-time NBA all-star has been offered the Bucks head coaching position only, not a basketball front-office job as first speculated. 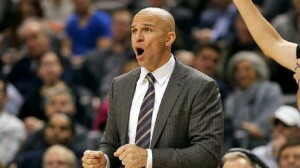 Kidd is reportedly seeking compensation in the neighborhood of $25-million over five years. Compensation between the Bucks and Nets is expected to be resolved, either way, in the next 24 hours. The Bucks are offering a 2015 second round pick, while the Nets are seeking a first-round pick. 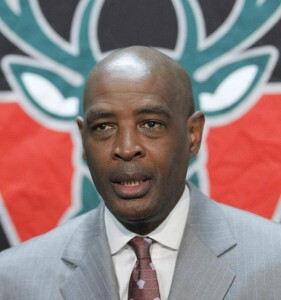 Current Bucks coach Larry Drew still has two years left on his contract. The Milwaukee Bucks went into Tuesday night’s Draft Lottery with the best odds (25%) of obtaining the top pick in the June 26th draft. But it was the Cleveland Cavaliers (1.7%) that came from the 9th position to grab the top pick. They’ll draft number-1 for the third time in the last four years. The Bucks get the number two pick, the first time in their history that they’ll draft from that position. The Cavs will have their pick of top players like Andrew Wiggins and Joel Embiid of Kansas and Jabari Parker of Duke. But regardless of who Cleveland goes with, the Bucks are going to get a real good player with the next pick. Since the NBA introduced the lottery system in 1985, the second spot has produced a number of top players, like Jason Kidd, Gary Payton, Alonzo Mourning and reigning NBA MVP Kevin Durant. Bucks General Manager John Hammond received a vote of confidence from the Bucks new ownership group. Marc Lasry and Wesley Edens say Hammond will oversee the June 26th draft and continue as the Bucks GM for the near future. Hammond and current head coach Larry Drew both have two years left on their contracts. record for most defeats in a season. The Bucks (14-61) suffered their 61st loss of the season last night, falling to the Heat 96-77 in Miami. It’s the Bucks 11th loss in the last 12 games and their 22nd loss in the last 23 road games. Lebron James had 17 points and Chris Bosh 15 as the Miami Heat stayed percentage points in front of the Indiana Pacers. Ramon Sessions scored a team high 19 points, but the Bucks as a team shot just 43% from the field and turned it over 17 times. Not exactly a great birthday gift for head coach Larry Drew, who turned 56 years old on Wednesday. The Bucks ave seven games left in the season, starting with a trip to Chicago to face the Bulls on Friday night. The Milwaukee Bucks still haven’t won back-to-back games this season. While compiling the worst record (10-44) in the NBA, the Bucks fell to the Denver Nuggets 101-90 at the BMO Harris Bradley Center. Denver forward Kenneth Faried poured in 26 points and pulled down 6 rebounds to lead the Nuggets (25-28) to the win, ending a 5-game losing streak. It’s their first win since beating the Bucks back on Jan. 25. Caron Butler had 17 points and Ersan Ilyasova added 14 points and 11 rebounds in the loss for the Bucks. Milwaukee played without point guard Brandon Knight who missed the game due to a right heel injury. The Bucks fell to 1-4 on their current 6-game home stand that comes to an end on Saturday against Indiana. They also fell to 1-20 against Western Conference teams. Gary Neal never fit in after signing a 2-year free agent deal with the Bucks during the off-season. So the Bucks sent him to Charlotte, along with point guard Luke Ridnour. In return, the Bucks acquired veteran guard Ramon Sessions and power forward Jeff Adrien. 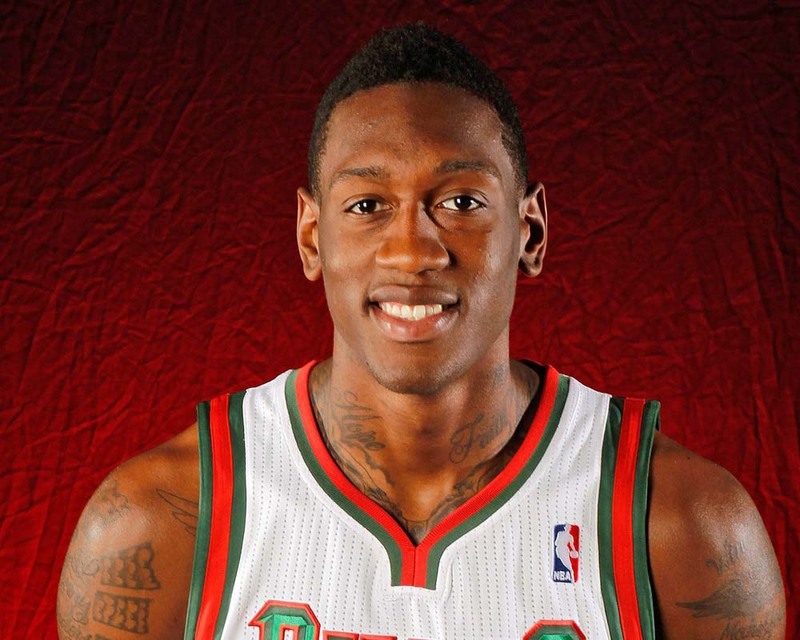 It’s the second go-round with the Bucks for Sessions, who was the team’s second-round draft pick in 2007. He spent two seasons in Milwaukee, then had stops in Minnesota, Cleveland, Los Angeles and Charlotte. Both Sessions and Adrien have expiring contracts. Goran Dragic scored 30 points to lead the Phoenix Suns to a 126-117 win over the Milwaukee Bucks on Wednesday night at the BMO Harris Bradley Center. The win pushes the Suns to 3-0 on their 4-game road trip. Ersan Ilyasova scored 27 points and Brandon Knight added 24 for the Bucks, who have just one win (1-13) in the month of January. Bucks big man Larry Sanders also put together his best performance of the season, scoring 14 points and pulling down 9 rebounds. The Bucks will have one more shot to earn a second win in January when they face the Magic in Orlando on Friday night. against Memphis 0 for 5 from distance. So with the Milwaukee Bucks trailing by 3 in the final seconds and the ball ended up in Sanders hands, one could predict the outcome. Sanders took the shot and missed and the Bucks went on to lose to the Grizzlies 82-77. It’s the 7th straight loss for the Bucks (7-31), who continue to possess the worst record in the NBA.